Stylish, convenient and beautifully crafted 450ml MaterniTea To-Go Tea Infuser. 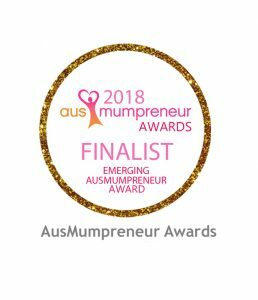 The perfect solution for busy mums on the go. Can be used for all MaterniTea Blends either hot or chilled, MaterniTea H.O.T smoothies and fruit water infusions. Stay healthy, hydrated and never leave home without this little pal. Take your MaterniTea with you on the go either hot or chilled. 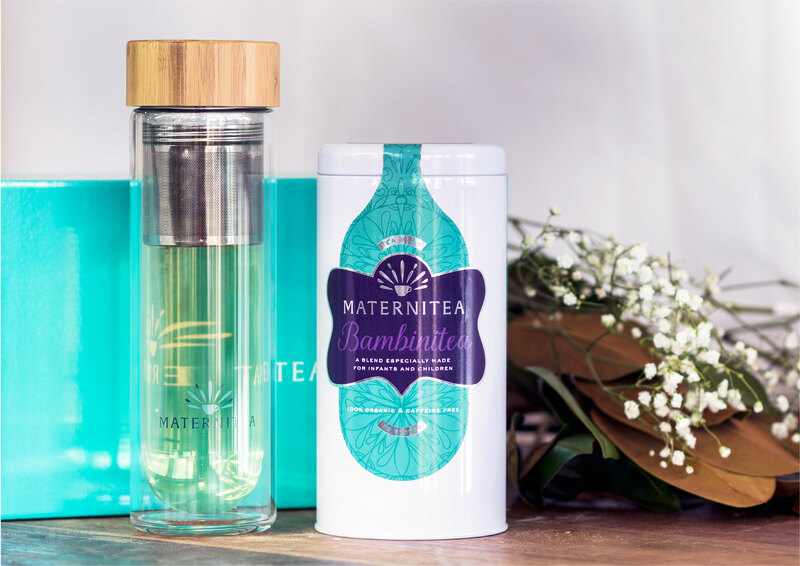 The beautiful double glass walls of the MaterniTea To-Go Tea Flask is the perfect solution for busy Mums who need a simple stylish and effective solution for staying hydrated and healthy through their pregnancy. 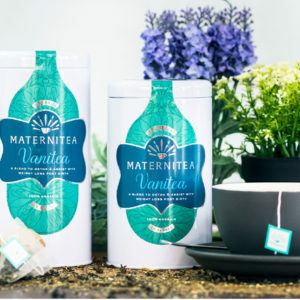 Our MaterniTea Pregnancy Tea Program offers recipes and suggestions for chilled MaterniTea blends, Fruit-Water, H.O.T Smoothies, Pre-pregnancy cleanse. 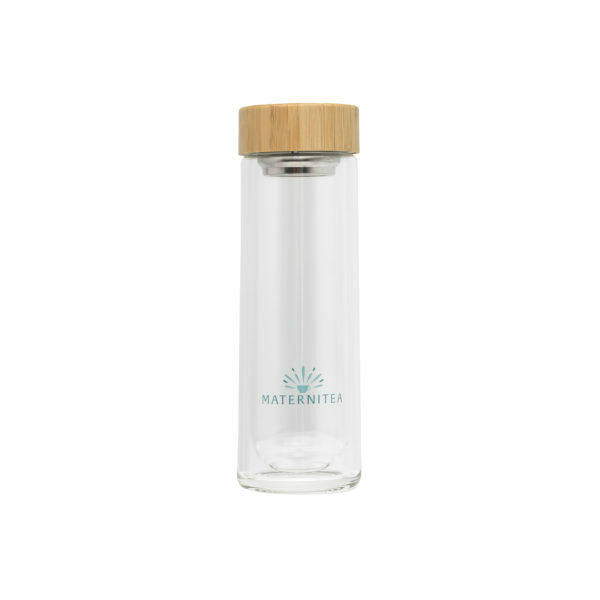 This stylish chemical-free, glass flask with stunning bamboo lid is the perfect solution for chilling your MaterniTea blends in the fridge. Never leave the house without your MaterniTea again. 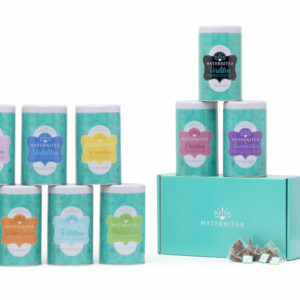 Simply add your tea and while your out and about, at the office, family or friends simple fill with hot water when your ready and you’ve got your perfectly brewed MaterniTea blends supporting you every step of the way. 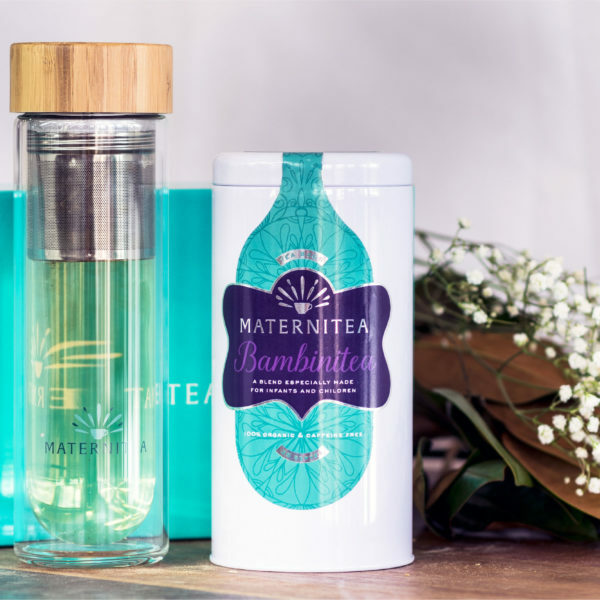 MaterniTea To-Go Flasks are made with double-walled glass, this helps to ensure your favourite MaterniTea blends stay hot (while only warm to touch) or stay perfectly chilled for several hours with a leak-proof bamboo lid.